Many parents stress out at the idea of including their young children while working in the kitchen. And truthfully, we’ve been there. There are many dangerous things in your kitchen such as a hot stove, sharp knives and products that they shouldn’t be taste-testing. It’s no wonder parents stress over the idea of including their toddler in the kitchen. 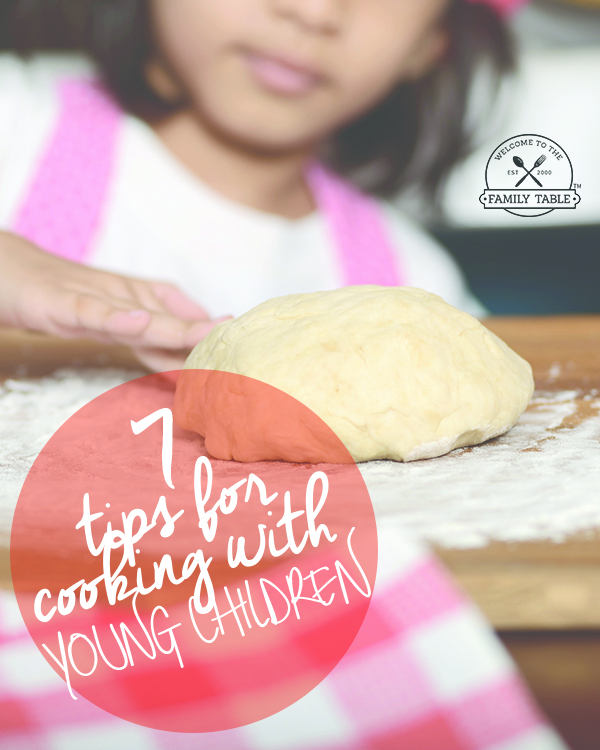 Today we want to challenge you to sit back, relax and read these 7 tips for cooking with young children. 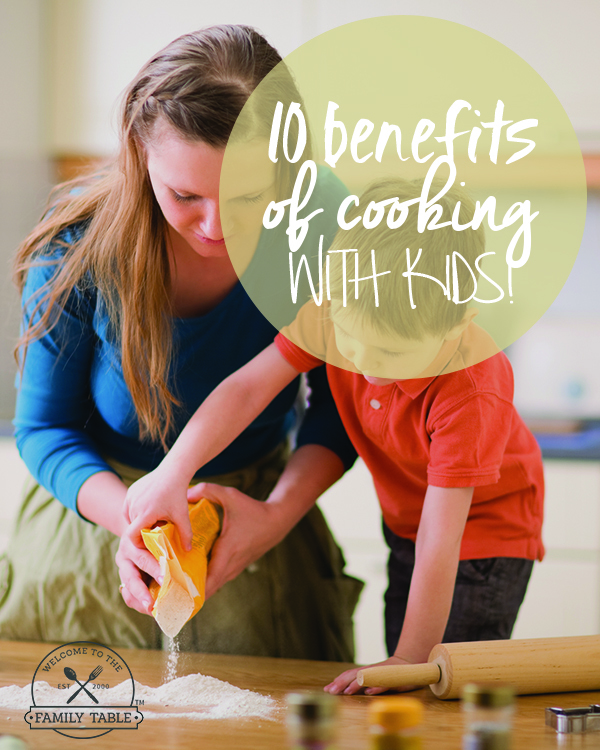 You will be surprised at how well you and your child will do in the kitchen when you follow these tips. There’s nothing worse for a young child than to have this desire to help their parent all the while getting fussed at constantly because their parent is stressed out. If you are a neat freak, learn to make cooking with young children fun by setting up some cleanliness measures. For instance, you can put parchment paper on the counter and newspaper on the ground to capture any additional messes your child may create. Over time you will learn to relax your standards as your mind makes the shift to realize that bonding with your child and giving them confidence in the kitchen is much more important than the clean up you have to do. Obviously you don’t want your young child getting hurt in the kitchen, so when you are ready to start cooking with your young child take extra measures for safety precautions. Set boundaries and rules right out the gate for what they are allowed to touch and not touch. Explain why these items are dangerous. We all know that cooking with young children may mean that dinner looks more like a Play-Doh concoction but you must learn to expect that. Create one special area where your young child can play with ingredients alongside you while perhaps you create the actual main dish. Young children have a shorter attention span than adults, try to encourage taste testing of appropriate ingredients. This keeps the child interested and encourages their palate to expand in ways that encourages healthier eating habits. Consider making meals that your young child may snack on in between the cooking process. Nothing will stress you out more when cooking with young children than attempting to make something that is too advanced for their little minds. Perhaps consider introducing cooking in the kitchen with snack and dessert recipes to keep your child from getting too bored or frustrated with the process. If you are not quite ready to hop on the bandwagon of having your young child cook in the kitchen with you, then you could consider decorating baked goods with them. You go ahead and prepare the main goods while you work with your child to decorate the baked goods once they have cooled down. When cooking with young children you simply have to let it all go, don’t stress and think about all of the dangers that your kitchen poses. Learn to embrace the fact that your young child wants to spend quality time with you and make it a fun everlasting memory experience so that they will want to cook with you well into the teen years. If you can take the time to release all of those fears and anxiety over having a young child in the kitchen and learn to implement these tips we shared with you today, you will be well on your way into cooking success with your young child. The years fly by fast; don’t let another day go by before you get that child in the kitchen with you while you bond over a meal well cooked.